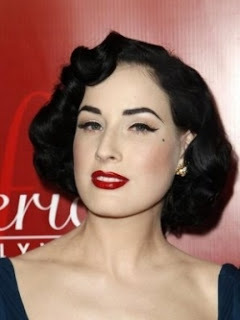 Pin-up fashion is a classic vintage fashion style which exudes femininity and style. Since vintage styles have been making a huge comeback ! Alot of brides are taking this look or a slightly milder verison to the alter. It makes for breathtaking photographs and gives a very timeless look. In my mua opinion, avoid applying a gloss and keep it matte! This will also give that old fashioned look and help keep the lip color on longer.